That snowman is so much bigger than Nigel, yikes. Spring is coming here early this year, Northern Ca as it looks like it may there too. You go Nigel. No yellow snow maker today? Nigel, I’m shocked! 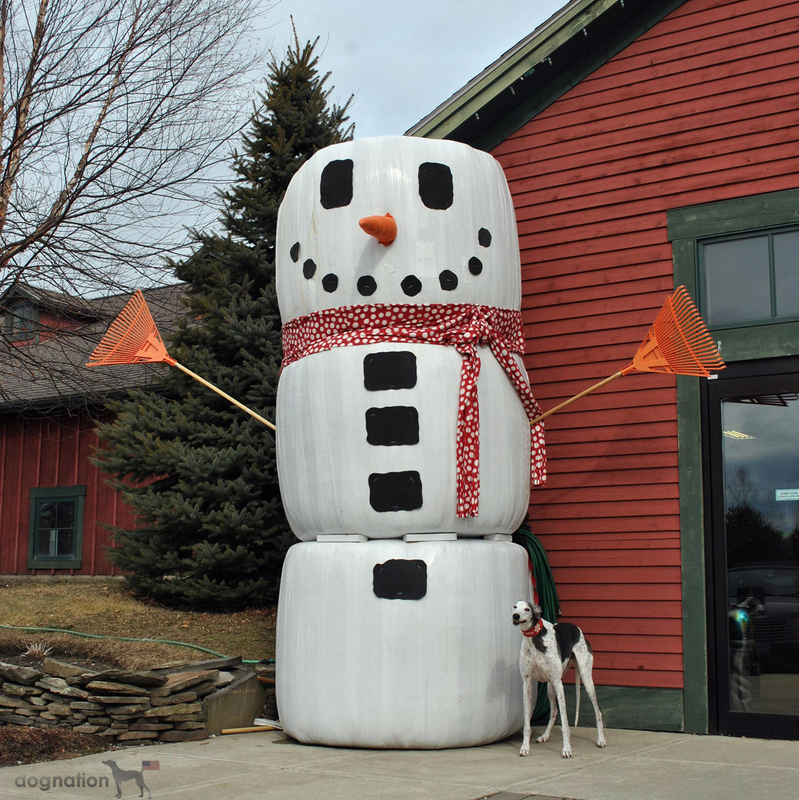 Wow, that is one big snowman. It must have taken more snow that we have seen in two years here.